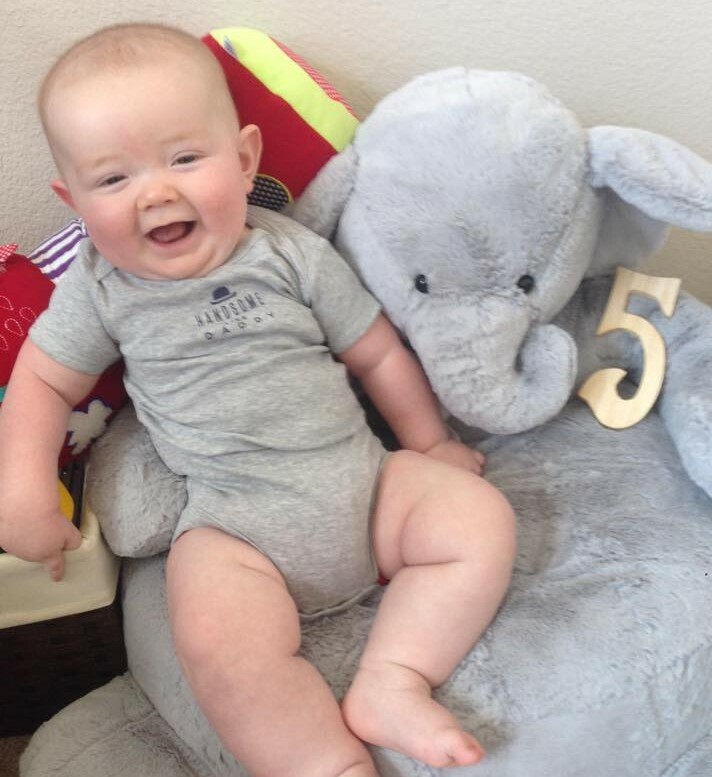 Q. Aaron—10 pounds in 18 weeks is impressive stuff, especially for a guy with years of training under his belt. What did your nutrition look like over the past 18 weeks? My plan was pretty hectic—I basically had to work everything around my client schedule. I’d wake up at 4:30 a.m., have my greens shake (16 oz water with Cytogreens), half a protein shake, then eat a Quest Bar on my way to work. One of my goals was to get in at least half of my daily protein goal before 10 a.m., no matter what. I then would sip on my Bulletproof coffee, and have my first solid meal at around 8 a.m.. Depending on how the day went, I’d have my second solid meal either in late morning or early afternoon (depending on when I trained clients). I would finish off the other half of my protein shake after my workout, finish up with my last clients for the day and head home, usually between 5:00 and 6:30 p.m.. My wife was absolutely awesome—she was the one to prepare most (if not all) of my meals. And she is a fantastic cook, so that’s a big help too. Dinner would be ready about the time I got home typically, and almost always consisted of a meat, green veggie, and some form of starch. And, because I was bulking and training hard, and not really having carbs during the day, I got to enjoy some dessert almost every night. Q. 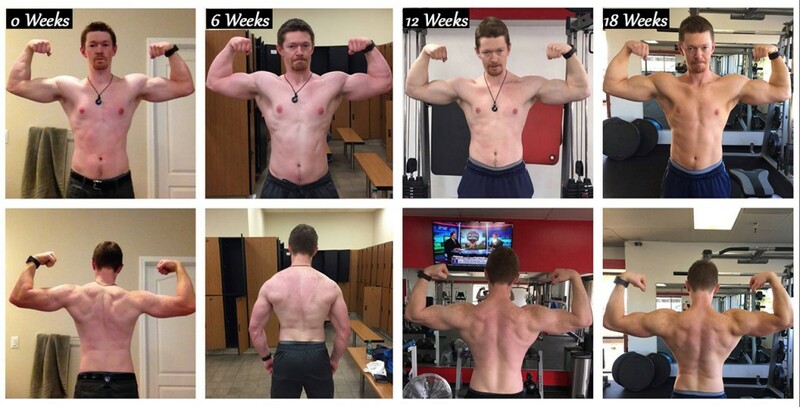 What did your training look like during these 18 weeks? Thankfully, for this program, my training was given to me. I find I normally do better on routines that I don’t plan for myself. They tend to better confront my weaknesses and challenge me in new ways. 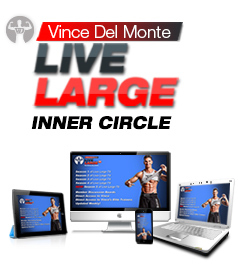 I trained five to six days per week for each of the three six-week phases. 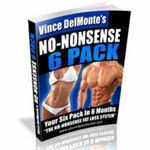 For the first phase, Vince had most of the competitors doing his Vanity Shoulders and Arms routine. 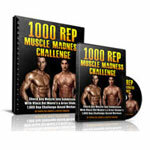 Personally, I loved this routine (found in his No Nonsense Muscle Building 2.0 Beta Program). I got to play with chains for the first time, my bench press and deadlift strength came back pretty well (I’d lost a fair amount of strength prior to the program for various reasons) and, to top it off, there was a barbell complex every Saturday. Man those things kill—worst form of cardio ever (in a good way). In the end, I added strength and inches to my chest, shoulders and arms. 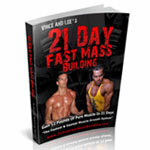 My second phase was the Vanity Back Specialization routine (part of his Vanity Specialization System). I smashed back for three days straight, Monday through Wednesday, then did just a couple of sets each for the remaining body parts on Friday and Saturday to maintain their strength and size. This was brutal because on Tuesday and Wednesday I was already sore (really sore by Wednesday!) and had to train back again. The method might seem counter-intuitive, but for guys who have been training for a few years, this type of controlled overtraining can be extremely effective. And it worked—my back spread wider than ever after this routine. 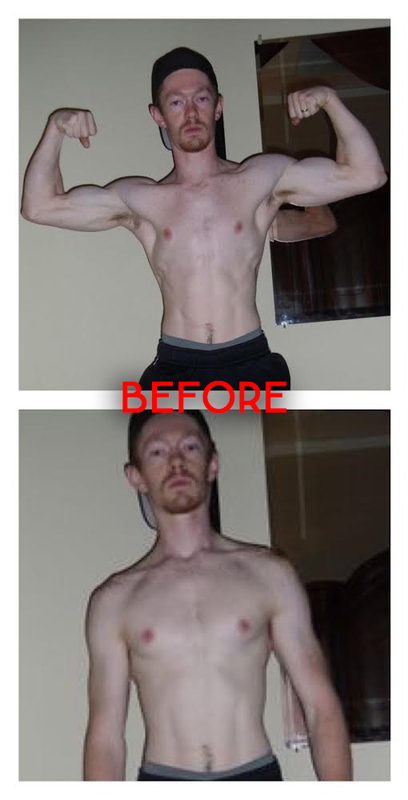 My last phase was a cutting routine called Omni Shred (also found in his No Nonsense Muscle Building 2.0 Beta Program). Truthfully, I’d never needed to cut before. Of course, I’d never been this big before either. So this was a tough spot to be in. I had let my body fat creep up over 13% for the first time in my life. I struggled a little bit, but thankfully my Del Monte Pro Team brother Mitch was able to help me. In the end I was able to shred back down some, and finished bigger than I’ve ever been. Throughout each phase I tried to remain sensible with my weights, especially since I didn’t have a training partner. But at the same time I tried to push myself to do at least a little more every time. 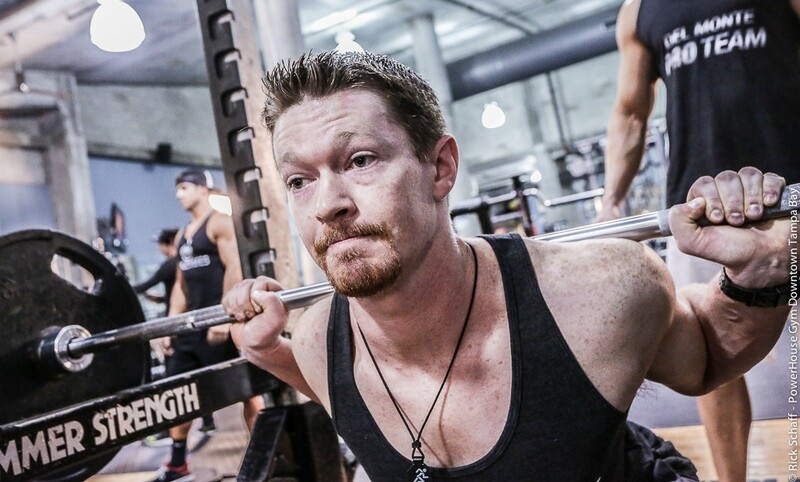 When you don’t have a training partner to push you, you have to let the numbers push you. So if I did 100 lb of something for 6 reps last time, I either needed to do 100 lb for 7 reps, or 105 lb for 6 reps—I had to make progress every time. Q. When did you first feel drawn to the fitness lifestyle? I have always been active. I started playing tee ball and soccer at five years old. I also ran track through high school. I guess I first started paying attention to fitness as a junior in high school. I had been running track for three years and just wasn’t happy with my progress. I made the decision that I wanted to get stronger on purpose, instead of leaving it up to chance. Q. After that eye opening experience, what have you found to be your favorite style of training? After high school, I continued experimenting with new techniques. I would say I found most enjoyment in general strength training with an emphasis on power lifting. I really liked that it focused on the big lifts and hitting absolute goals. But, I also enjoyed being able to build muscle as I got stronger. I found that with this style of training I began to feel more capable and athletic. Q. Through your experience and experimentation, you have figured out what works best for you. So, what would be the best advice you could give to someone just starting out? Two things come to mind. First, get help! It’s really easy to hurt yourself using bad form. There’s also a good chance you might waste year after year while training ineffectively. Educate yourself through books, videos, etc. Another good option is to have someone who knows what they are doing guide you. Second, go slow! In 18 months, I went from 205 lbs to 430 lbs on my deadlift. Along the way, I really messed my back up. It took me years to completely heal. Go slow! You don’t have to lift a million pounds tomorrow. Don’t cut corners, because getting hurt will set you back every time. Q. Congratulations on becoming a member of the first ever Del Monte Pro Team! What does it mean to you to be part of the team? I know for me, I need a deadline to be working towards. Part of the reason I got up to my 430 lb PR on deadlift was because I was working up to a competition. This was the same way. I told myself I’m just going to keep plowing ahead for every six week phase until I hit my goal. I probably accomplished more in the 18-week Del Monte Pro Team Competition than I did in the previous three years. The other part was having a chance to work with the best. I knew that whoever made the final 12 (whether I did or not) would be the best. They would be the kind of people that raise your standards and challenge you to be better. Q. What is it that makes fitness so important to you? There’s a lot that goes into that question for me. I’ve been active my whole life. I played all kinds of sports growing up: soccer, baseball, basketball, and in high school I ran track. But for me, my father was a big motivator. He didn’t have a very healthy lifestyle, in spite of trying multiple times to lose weight. When he was in his early forties he was diagnosed with type 2 diabetes, and when he was 50 years old he died of a heart attack. Before he passed away, one of my major goals was to find out how to help him, but I never got the chance. That’s a big reason why I’m a personal trainer now. I want to help as many people as possible have access to good exercise and nutrition information, so they can avoid the same fate. And the other big reason is the family I have. Having seen what happened with my dad, I want to do whatever it takes to prevent that fate in my life. I want to be around to see my grandkids, and hopefully great-grandkids, I want to grow old with my wife and enjoy our later years. I want to be an example to my children for what a healthy person really looks like. My first son was just born back in February, and I expect to be around for a long time. I want to be able to go on hikes with him and his kids one day. Fitness is about more than sports and muscles—it’s about life. Q. Your fitness slogan is “Real Men Train.” That can be taken in many different ways. So, what do you mean by that? Well, there are a few things. First, I want to say what it’s not. It is NOT a macho thing. You don’t have to be the so-called stereotypical alpha male. I believe a real man is someone who takes responsibility across the board. This includes taking responsibility for your health and making your body better. You must learn what it takes to push through pain, suffer and do the things that are necessary to change your body. Tough times will come in marriage, in the gym and in life. If you can learn how to push through and stay strong in the gym, it will translate into your regular life. A man needs to be strong in this world. I remember when my dad passed away. I became the man at that point. I took my feelings, put them aside, and stayed strong for my family. I believe there are certain things men are built and designed to do. However, there is a time and place for tenderness. The key is to find a proper balance. There is a masculine way to be tender. Q. Let’s switch gears and talk about supplements. 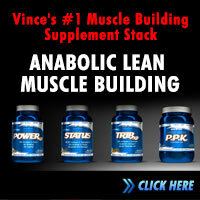 What would be your top 3 must have supplements? Or, do you even believe people need to take supplements? Q. Rapid fire question time! Let’s have a little fun—what’s the first thing that comes to mind? 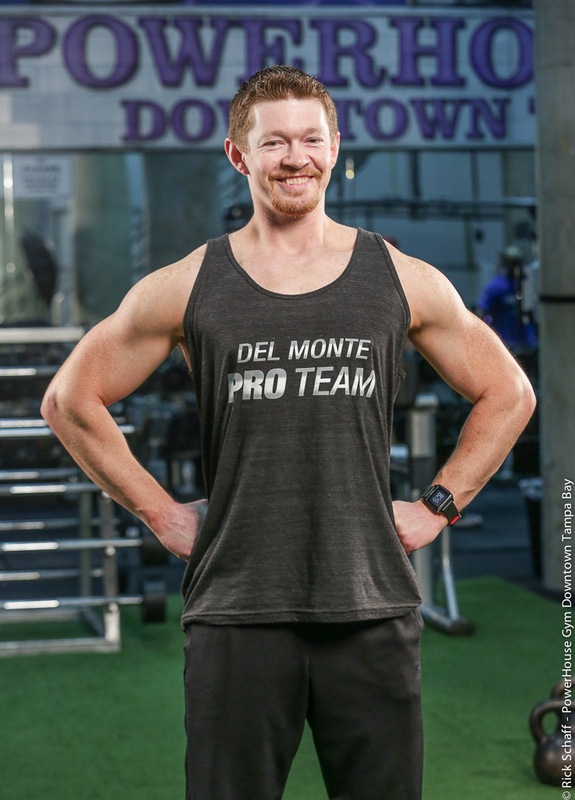 Watch Muscle Camp Season 1, Episode 2 to see Aaron interviewed at Powerhouse Gym – Downtown Tampa during the Del Monte Pro Team Weekend, held February 27th-March 1st, 2015. 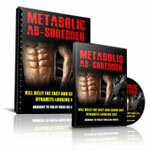 Read Aaron’s article, 10 Things Screwing Up Your Bulk, featured on this blog.